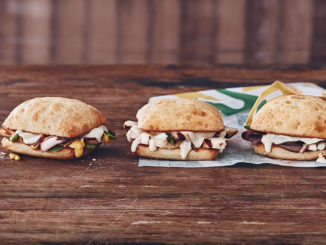 Subway Canada refreshes its panini menu with the introduction of three new panini sandwiches. 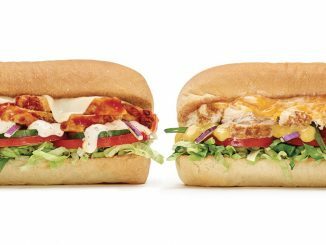 The three new panini sandwiches available include the Montreal Steak & Provolone Panini, Sweet & Smoky Chicken and Bacon Panini, and Grilled Cheese and Bacon Panini. 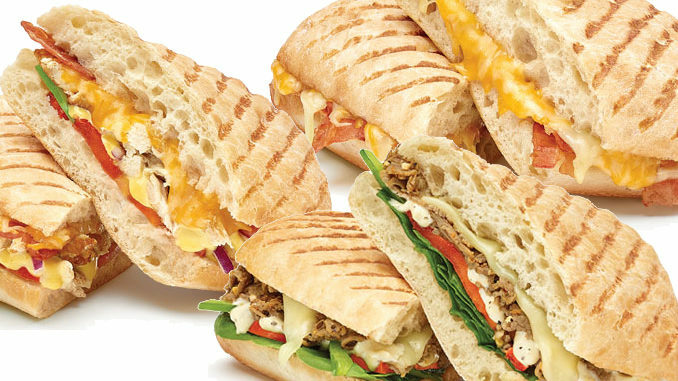 The Montreal Steak & Provolone Panini features tender Montreal seasoned 100 per cent Canadian shaved steak, premium provolone cheese drizzled with savoury garlic aioli sauce and topped with baby spinach, tomatoes and green peppers on freshly-prepared ciabatta bread. The Sweet & Smoky Chicken and Bacon Panini features layers of Rotisserie-Style chicken with sweet & smoky seasoning and maple wood smoked bacon drizzled with smoky honey mustard, tomatoes, red onions, green peppers, and extra Monterey Cheddar Cheese on ciabatta bread and pressed on a panini grill. The Grilled Cheese and Bacon Panini combines Monterey cheddar and Provolone cheeses with maple wood smoked bacon, with more cheese sprinkled on top of freshly-prepared Ciabatta bread and pressed to deliver a warm and crispy grilled cheese experience. 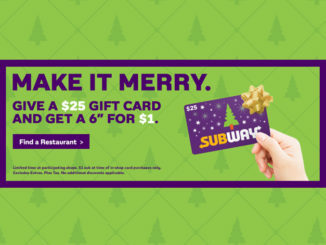 The new panini sandwiches can be found at participating Subway locations across Canada for a limited time. Menu availability may vary by location.